In Africa, the problem of mental health and substance use disorders is particularly pronounced. GHA contributor, Diana Kingsbury, calls for governments and donors to increase their focus on mental health issues. Among the many public health challenges that impact countries worldwide, mental health and substance use disorders continue to rank among the most persistent. These disorders are the leading cause of death and disability worldwide and account for about 23% of all years of life lost globally, according to the World Health Organization (WHO). For low- and middle-income countries, adequately addressing mental health needs is particularly challenging. Statistics show that 75-85% of individuals living with severe mental disorders in low-and middle-income countries are not receiving necessary treatment, compared to 35-50% in high-income countries. In Africa, this problem is particularly pronounced. While the overall prevalence of mental health and substance use disorders across the continent is largely unreported, the lack of adequate services has been identified and is growing in relevance in the global health arena. The mental health care crisis within Africa is the result of several inter-related factors including a significantly understaffed mental health care workforce. For example, in the Niger Delta region of Nigeria, there is only one neuro-psychiatric hospital for the region’s four million inhabitants. In Uganda, a nation of 33 million, there are only 33 psychiatrists. In Kenya, there are only 83 psychiatrists for a population of 40 million. In Ghana, there is only one psychiatrist available for 1.5 million people. 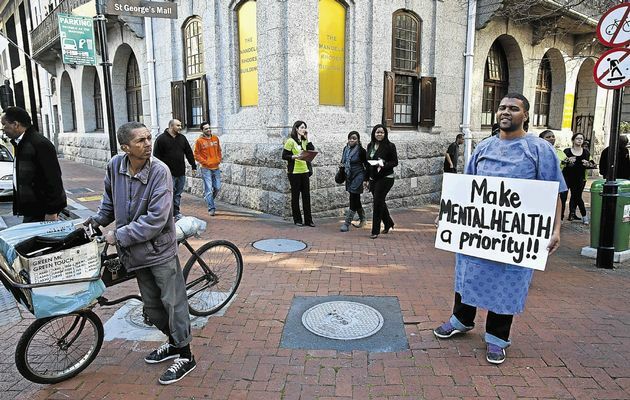 Across Africa, the burden of inadequate access to mental health care has resulted in lack of treatment, follow-up, and often inhumane treatment of the mentally ill. The additional burden of stigmatization often leaves individuals with mental disorders without any source of social support. Coupled with the significant social stresses that challenge the continent, such as poverty, food insecurity, conflict, and infectious disease, the risk of developing a mental disorder also increases. Very few prevention programs are currently in place to assist those at-risk in confronting these stresses. The limited availability of an appropriate mental health care system is a significant public health problem that needs to be addressed. From a governmental perspective, there is limited infrastructure available to provide appropriate mental health care for those in need. It has been reported that 70% of African nations spend less than 1% of their health budgets on mental health and the majority of available funds are put toward psychiatric institutions and not community-based programs. Additionally, only 50% of African nations have a mental health policy, and if they do have a law, it is usually archaic and obsolete. In light of recent events in South Sudan and the disappearance of over 260 school girls in Nigeria, it is clear that in order to heal psychological wounds caused by violent conflict and social unrest, a commitment to building a mental health care system that can readily respond to the needs of the people should be of paramount importance. Efforts that have been made to reverse current trends have proven successful. For example, former U.S. President Jimmy Carter’s “Carter Center” has established a mental health program in Liberia that seeks to train mental health care professionals within the country so that access to necessary mental health care services may be improved. As a result of the center’s efforts, mental health care access can be expanded to nearly 70% of the country. Organizations such as “BasicNeeds” also seek to break through stigmas associated with mental health disorders in the developing world, and create community supports that are vital to the integration and care of the mentally ill within the community. Through the work of non-governmental and philanthropic organizations, an organized effort to integrate mental health care into the primary care system, as well as an emerging focus on the mental health needs of the developing world, more attention has been brought to this issue. The relevance of adequate mental health care across the globe should not be underestimated.